Contact Larry Cooksey (254-760-2286 or llcooksey37@gmail.com) for information or to sign up. 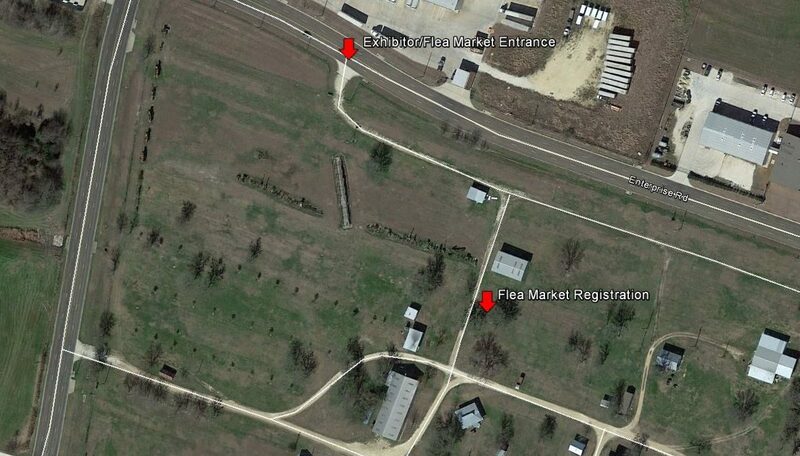 Flea Market spaces are $40.00 for each 20’x25′ space. Vendors can purchase as many spaces as desired. Sign up prior to the show is required. See the map below for registration location upon arrival.